Kashmir witnessed snow and fall in temperatures, and so schools were shut down. Snowfall was quite heavy in Shopian and kids built a tunnel outside their houses to hide from their parents. A young teen shared a video on Twitter and reported that due to heavy snowfall, accumulated snow reached up to the height of1st floor. 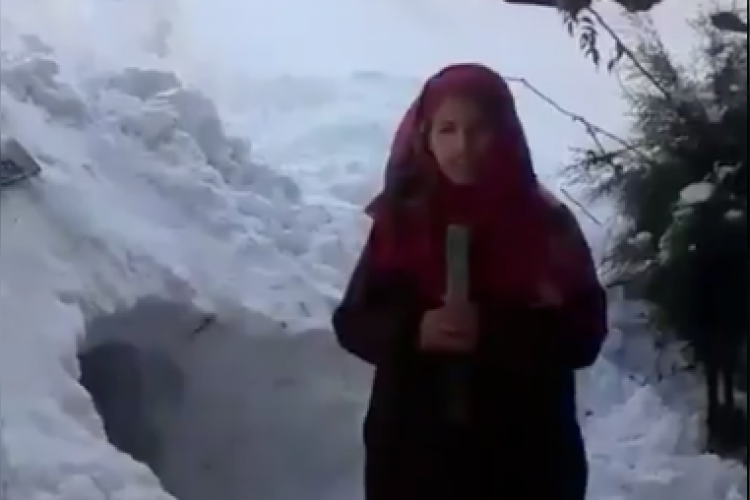 The girl pretends to be a journalist & interviews 2 kids who made the tunnel.